Some of our firm’s clients are in the business of purchasing notes and mortgages encumbering properties which are being foreclosed. This blog post will discuss the legal necessities behind such transactions. Careful planning, as well as consultation with legal counsel, can ensure that such acquisitions comply with all legal requirements and ensure that the purchaser obtains marketable title so that properties so acquired can be resold expeditiously if desired. Most purchases involve notes and mortgages obtained from banks or other major institutional lenders. Although private mortgages can be purchased, a potential buyer may encounter more issues when buying a mortgage from a private lender, as opposed to a large financial institution. The first step in such a transaction is agreeing on the purchase price. The purchaser must determine the overall value of the property, usually through an appraisal as well as an inspection of the premises. Other financial information can also be obtained, such as rent rolls, which show rental income for commercial or other rental properties, such as apartment buildings. The purchaser then offers to buy the outstanding mortgage from the lender for a price lower than the amount owed by the defaulting current owner. Major financial institutions will generally have a form contract that the purchaser of the mortgage in question must execute. Such agreements are usually not subject to substantial negotiation. The seller of the mortgage needs to agree to provide an assignment of the mortgage to the purchaser of the mortgage. The seller should also be obligated to provide the original note and mortgage documents as signed by the mortgagor. It is essential that the original loan documents be obtained in such a transaction. Without them, the right to collect on the mortgage by the purchaser may be challenged in Court, creating a major issue for a purchaser. After the assignment is complete, it is recommended that counsel review the loan purchased from a legal prospective. Any loan purchased may be in any stage of the foreclosure process at the time of the transfer. For example, it is possible that no action has been taken by the lender against the defaulting mortgagor. If this is the case, the first step that should be taken is sending a formal demand letter to the mortgagor, advising them that ownership of the loan has been transferred, and that the loan is in currently in default. If legal action has already been commenced against the mortgagor, then the Court records should be reviewed by legal counsel both through online records access (where available), as well as an in-person examination of the actual case file at the Supreme Court Courthouse in the County in which the property is located. This examination by counsel will advise the purchaser of the Note the current status of the foreclosure proceeding. It is possible that the proceeding is almost completed, or has barely started through the service of a Summons and Complaint. Experienced attorneys will be able to ascertain what the next legal step should be after a careful review of the Court records. Amending the court pleadings to substitute the name of the Note purchaser for the original Note holder may also be necessary. After the necessary pleadings have been amended and filed, then the foreclosure proceedings may continue. It may be possible at this point to negotiate with the mortgagor to agree to have the new Note holder take title to the property in exchange for either a monetary settlement or release of personal liability, if any. Otherwise, foreclosure proceedings may continue until there is an auction of the property. At such auction, the new Note holder must bid at least the amount owed on the property, including all interest, costs, and attorney’s fees. This will usually enable the new Note holder to take legal title to the property after the auction through a Referee’s Deed in Foreclosure. Once this deed is obtained, it should be recorded with the County Clerk of the county in which the property is located to ensure that the mortgagee has good legal title to the property. Such property can then be held as an investment, or marketed and sold to a third party, at a profit to the purchaser of the Note. 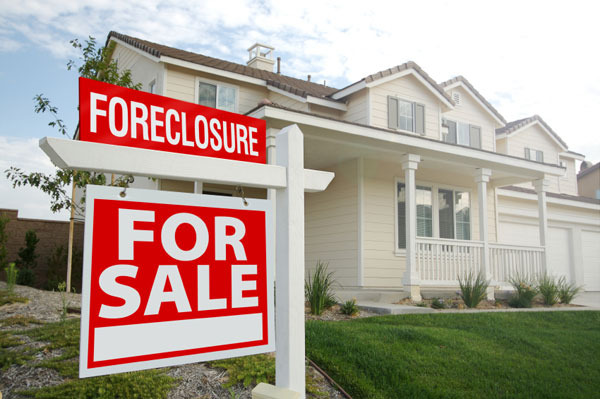 Weiss & Weiss has extensive experience advising purchasers of foreclosed properties, and litigating foreclosures so that marketable legal title can be obtained. We welcome all inquiries in this area.